I have started to develop frontend side of my pet project and yesterday I worked on login service and I had to debug it. I use Visual Studio Code to write app in angular2 and typescript and I thought why not to use VS Code for debugging? Ok, but not so fast. Few steps are required to achieve it. 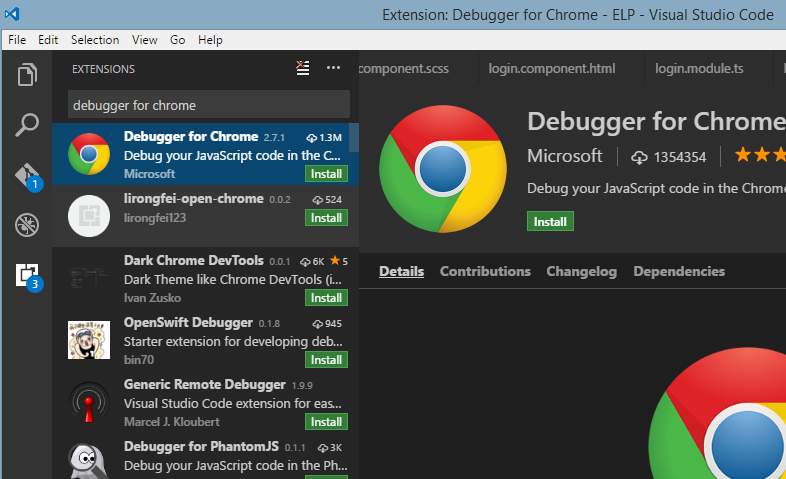 Then type Debugger for Chrome in extensions manager and install it. After installation restart VS code. 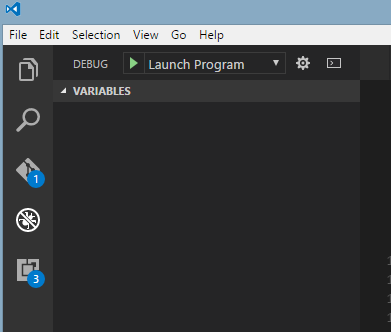 Next go to Debugger or press Ctrl+Shift+D and click on the gear icon to create launch.json file. Url is default url where angular app is located, port: 9222 is the port used by Chrome browser. 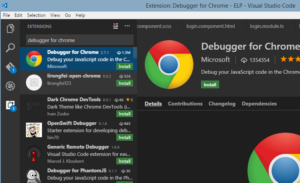 In this config file there are two configs, one of these is for launching chrome with attached debugger and the second one is for attaching existing chrome instance. Let’s try to launch new chrome window. Click on green start icon. Posted in Angular2, Daj się poznać 2017, ELP, Get Noticed 2017, Programming and tagged angular, debug, vs code on Marzec 29, 2017 by Jakub Skoczeń.